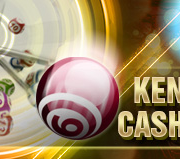 您現在的位置： 首頁 / No Deposit Bonus / [S188 Malaysia]Online Casino UP TO MYR 588PER WEEK! 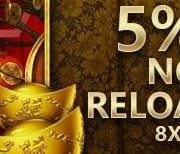 [S188 Malaysia]Online Casino UP TO MYR 588PER WEEK! 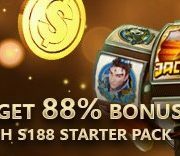 S188 Malaysia Online Casino Claim any or both of our latest compensation bonuses and recoup losses with payouts up to MYR 588 per week! The S188 Malaysia Online Casino promotion is open to all players with a minimum daily loss of MYR 1,000, or, minimum weekly loss of MYR 15,000. Calculation of daily/weekly loss excludes all previously awarded bonuses and cashbacks. 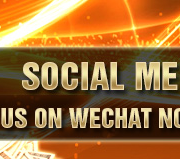 Weekly calculation of this promotion starts on Sunday 12:00AM (GMT +8) to Saturday 11:59PM (GMT +8). Minimum loss-per-day of MYR 1,000 (excluding bonuses and cashbacks) on any day of the week. Claimable only once per week. Final account balance must be less than MYR 5. To claim this bonus, the application form must be submitted to us via Live Chat on the same day as when losses are made, according to the GMT +8 time zone. Any late applications will be disqualified. Payout for this bonus is MYR 88. Minimum loss-per-week of MYR 15,000 (excluding bonuses and cashbacks) within a particular week. To claim this bonus, the application form must be submitted to us via Live Chat within the same week as when losses are made, according to the GMT +8 time zone. Any late applications will be disqualified. 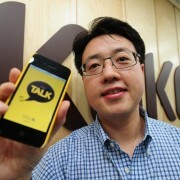 Payout for this bonus is MYR 500. To submit your application and claim this bonus, please contact our Live Chat representative. The S188 Malaysia Online Casino Promotion is subjected to 10 time(s) rollover wagering requirement before any withdrawal can be made. *Please contact our customer care representatives to submit your application to claim this bonus. For the purpose of the Promotion, only wagers on S188.com that generate a win/loss return will contribute to the rollover requirement. All drawn or tie wagers, cancelled or void wagers, wager on odds less than Euro 1.50 or Asia 0.5, or wagers on both even-chances during a single game will also not count towards any rollover. Should the promotional rollover requirements above not be met within 30 days from the day the bonus is claimed, the attributable bonus and winnings will be forfeited. Unless the promotional rollover requirements are met, the deposit amount qualified for the Promotion plus the bonus and any winnings attributable are not allowed to be withdrawn. The Promotion may not be claimed in conjunction with any other promotions currently offered by S188 Malaysia Online Casino and is subject to ongoing review. S188.com has the right to change the promotion and its terms at any time. S188 Malaysia Online Casino reserves the rights to cancel this promotion at any time, either for all players or an individual player. 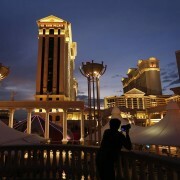 https://casino588.com/wp-content/uploads/2016/04/S188-MalaysiaDeposit-On-Weekends-Bonus-Up-To-MYR-388.jpg 155 692 Casino588.com https://casino588.com/wp-content/uploads/2015/06/00.fw_.png Casino588.com2016-04-11 21:49:352016-04-28 11:59:15[S188 Malaysia]Online Casino UP TO MYR 588PER WEEK! 7liveasia Online Casino Malaysia Slot UP TO MYR1000! [S188 Malaysia]Online Casino Bonus UP TO MYR 388!